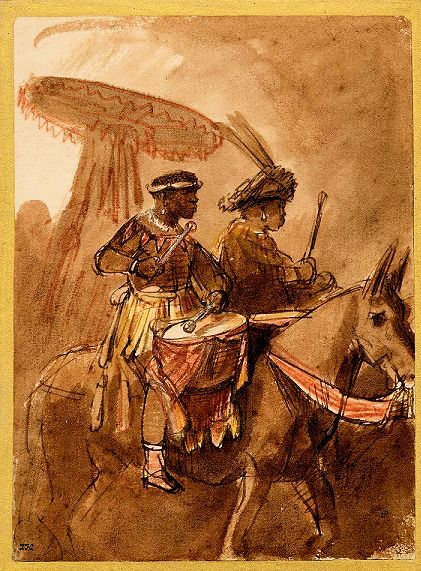 When the Kulturabteilung der Stadt Wien (The City of Vienna's Department of Culture) decides to sponsor research in the field of Vienna's cultural history, the results are rarely valuable or significant. The main cause for this general deficiency is the fact that an applicant has to meet almost no scholarly prerequisites to receive a grant. To get one's hands on taxpayers' money, one has to meet three essential requirements: 1) know the right people, 2) establish a fundable society (three members will do), and 3) propose a research topic that will attract the interest of the head of the Kulturabteilung der Stadt Wien. 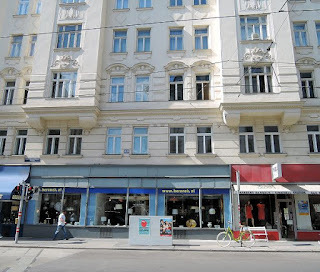 In 2006 the Austrian art historian Gabriele Goffriller applied to the Kulturabteilung der Stadt Wien for a grant to do research on the life of the legendary Viennese figure Joseph Kyselak. 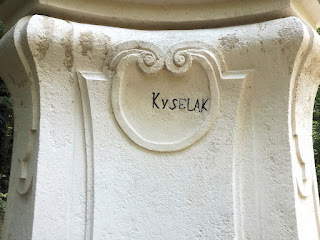 Kyselak was an Austrian mountaineer and travel writer whose enduring fame is based on his habit of writing his name on prominent places during his hikes across the Austrian Monarchy. Kyselak's name on the left of two obelisks in the Schwarzenbergpark in Neuwaldegg. It is highly unlikely that this engraving (Kyselak always used paint) is genuine. Kyselak never engraved his name, he only used paint. 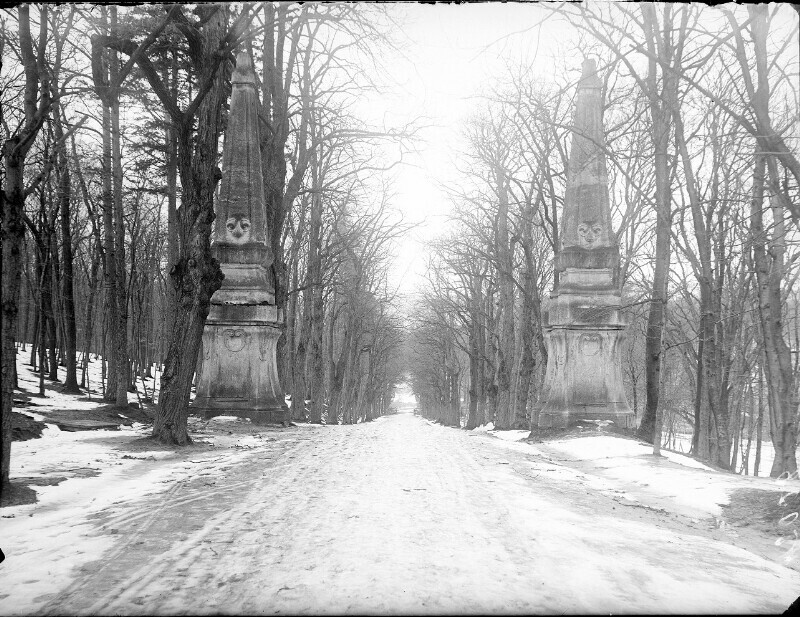 A photograph of this obelisk, taken in 1910 (A-Wn, 80.028B), does not show the inscription. 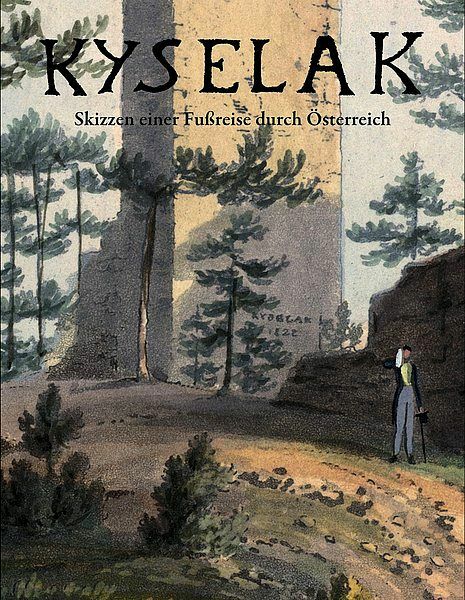 The project submitted by Goffriller and her collaborator, the film director Chico Klein, consisted of biographical research and – as main part of their enterprise – a reissue of Kyselak's book Skizzen einer Fußreise durch Oesterreich, Steiermark, Kärnthen, Berchtesgaden, Tirol und Baiern nach Wien (Vienna: Anton Pichler 1829). From the start the project had excellent chances to receive public funding, because it is well known that the (at that time) head of the science department of the Kulturabteilung Hubert Christian Ehalt has always been an avid Kyselak aficionado. To improve the prospects of realization even more, the applicants shifted Kyselak's significance to the field of art history by branding Kyselak as graffiti artist, "the world's first tagger", an early predecessor of later tagging phenomena, such as "Kilroy was here". Of course, Kyselak was nothing of that kind. He was not an artist, but just an enthusiastic hiker and bad writer who had an obsession with writing his name on public surfaces. The so-called "Kyselak-Projekt" was funded by the City of Vienna and not only resulted in a new edition of Kyselak's travel book ("Herausgegeben von Gabriele Goffriller und mit einem Vorwort von Gabriele Goffriller und Chico Klein") and the establishment of a website, but also led to the production of a TV documentary, titled Kyselak war da! Graffiti anno 1825. In the foreword of this book the authors present research on Joseph Kyselak that is fraught with ridiculous mistakes. That Goffriller and Klein were not qualified to do archival research on the biography of a figure from the Biedermeier era had already become obvious in their project report (Wissenschaftsstipendium - Abschlussbericht) which on 30 April 2007 they submitted to the Kulturabteilung der Stadt Wien (A-Wst, B-289705). This report already contains all the nonsense that was to make its way into the foreword of the book. In this report the authors provide a list of "supporting organisations and individuals" (40 people) to whom they give credit, none of whom seems to have been involved in the actual work connected with the project. Goffriller and Klein spoke with many educated people, but they seem to have asked none of them for advice. Their problem was one which is very common among Viennese researchers: they could not read the archival sources. This post is not a detailed review of Goffriller's and Klein's book, because it is not possible to address all the mistakes that are presented in this publicly funded collection of (as the authors called it) "Fakten zur Biographie" (facts concerning the biography). Hence, a list of the book's worst flaws will suffice. The authors were unable to figure out Joseph Kyselak's date and place of birth. The currently accepted date 22 December 1799 is based on the article by Valerie Hanus and Robert Hösch in the Österreichisches Biographisches Lexikon. This date is wrong (see below). To specify Kyselaks year of birth the authors relied on a catalog of pupils of the Vienna Piarist Gymnasium. They erroneously present it as "the earliest verified source concerning Kyselak's year of birth". In this catalog Joseph is given as twelve and his brother Wilhelm Kyselak as eleven years of age. The fact that both boys appear in the same catalog proves that this document does not cover one single year. As a matter of fact, this catalog was alrady begun in 1810 and covers three consecutive school years which are given on the cover. 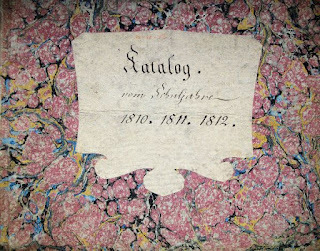 On the first page the original date "1810" was corrected into "1811" which also points to the fact that the catalog covers more than one year. 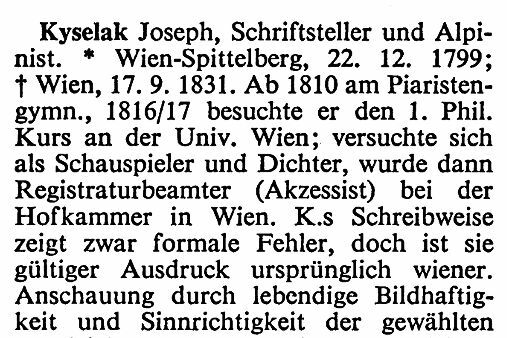 This source is not proof that Joseph Kyselak was born in 1799, it only documents that he was one year older than his brother Wilhelm. 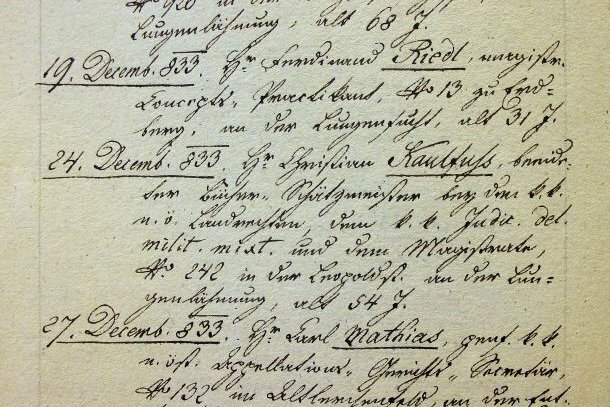 The addresses of Kyselak's family, given by the authors as "until 1804 Josefstadt 72, then house 28 (Strozzigasse 8)", are false. 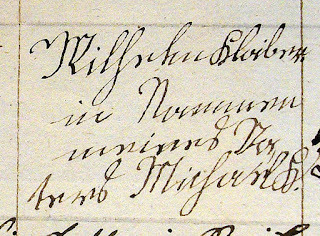 The documented addresses of the Kyselak family (according to the 1821 numbering) are the following: St. Ulrich 100 (Lerchenfelder Straße 20), Windmühle 10 (Mariahilfer Straße 17), Neubau 142 (Siebensterngasse 46), Neubau 130 (Burggasse 49), Josephstadt 30 (Josefstädter Straße 9), St. Ulrich 91 (Neudeggergasse 21), St. Ulrich 74 (Lerchenfelder Straße 9), Strozzigrund 5 (Strozzigasse 6), and Spittelberg 144 (Kirchberggasse 37). 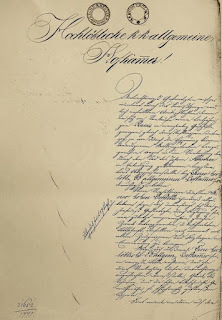 Because the authors were unable to decipher even one archival source, they had to base their account of Kyselak's career as civil servant on a letter, written in 1964 by Hanns Leo Mikoletzky to Franz Beranek, which contains a transcription of a statement of the Court Chamber concerning Kyselak's employment. Either Mikoletzky's transcription is already flawed, or the authors had problems reading Mikoletzky's handwriting. Either way, the edition of this document, presented in the book without any documentary context, is rife with absurd mistranscriptions that could have been easily avoided, had the authors consulted at least one expert. The fantasy names of three state officials alone, namely "Kaseburg", "Figl" and "Füljac" (instead of Kesenberg, Gigl and Fuljöd) are worth the price of the book. The hilarious transcription mishaps "Vorwirkungen" and "Tilgungs-Dezutation" are the icing on the cake. The statement "Danach liest man nichts mehr" ("nothing can be read thereafter") on p. 8 might well be the funniest euphemism for an author's inability to locate and read archival sources. 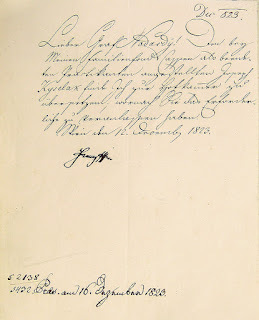 The application by Kyselak's mother for financial support was not submitted on 23 October 1831, but two days earlier. This request also did not imply "a support of 30 to 40 gulden Conventionsmünze". It was unthinkable for an applicant to propose even a rough amount regarding his financial needs. All shelf marks of archival sources in the Municipal and Provincial Archives of Vienna, given by Goffriller and Klein, are flawed. So is their transcription of the entry in the death register concerning Kyselak's death. All sources related to Kyselak's death – most of which remained unknown to the authors – prove that Kyselak died on 17 September 1831 and that the date on his Sperrs-Relation is wrong. He also did not die at the cholera hospital at Strozzigrund 26 (today's Strozzipalais), but was already dead on arrival at this hospital. 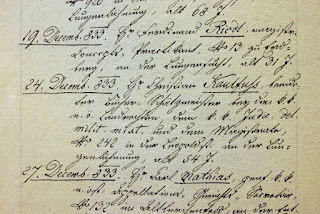 The entry in the records of the cholera hospital on the Strozzigrund concerning the arrival of Kyselak's body: "30 J. auch [Brechdurchfall] Todt überbracht." ("30 years old, diarrhea with vomiting, dead on arrival"). The use of the term "Cholera" was not permitted (to forestall plagiarism this source cannot be specified). The absolute high point of Goffriller's and Klein's jumble of errors appears in a chapter titled "Kyselak's interests and his library" where a library of about 2,000 books, listed in a catalog held by the Wienbibliothek (A-Wst, H.I.N. 150.948), is erroneously attributed to Joseph Kyselak [on 11 July 2018 the entry was corrected based on my research]. According to Goffriller and Klein this catalog "was drawn up after Kyselak's death" by a certain "Christian Kantfuhs". This person is of course the Leipzig-born book seller and book appraiser Christian Gottfried Kaulfuß (1779-1833). 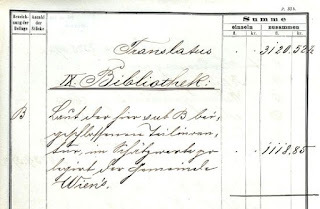 A picture on p. 10 of the book shows a page from the library catalog and to anyone who has ever done research in the Municipal and Provincial Archives of Vienna, it is immediately clear that the handwriting in this catalog is that of Joseph's cousin Franz Kysselak (22 September 1792 - 1 May 1879), son of Florian Kyselak from Němčice nad Hanou, and counselor at the Vienna Court of Criminal Justice. 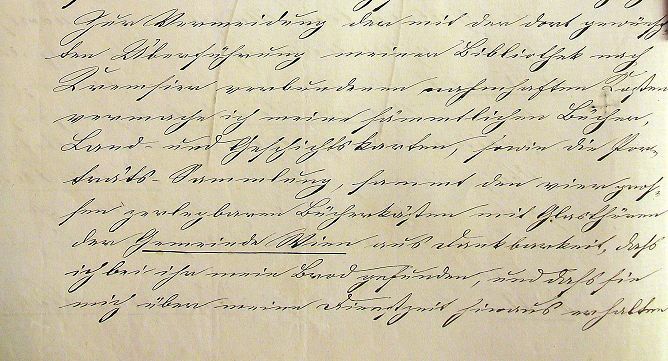 Franz Kysselak's handwriting is well known to historians from the eight volumes of Memorabilien that Kysselak wrote between 1814 and 1870 and which contain noteworthy death notices from the Wiener Zeitung. Together with a valuable collection of documents related to court cases, Kysselak bequeathed his Memorabilien to the City of Vienna. They are today held by the City Archive (A-Wsa, Handschriften, 3.4.A.112.1-8) and, until a few years ago, were kept on an open shelf in the archive's reading room. 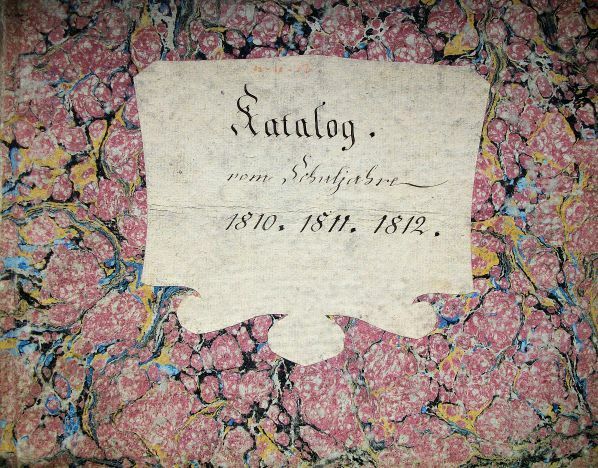 The catalog held by the Wienbibliothek contains the library of Franz Kysselak. 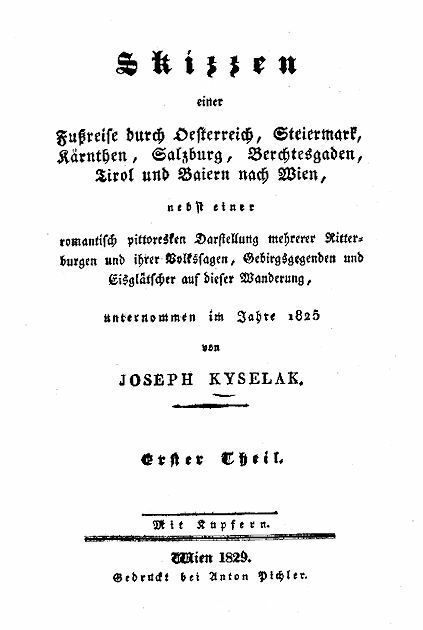 Unlike his poor cousin Joseph, Franz Kysselak, who never married and in 1853 retired with an annual pension of 1,600 gulden, had the financial means to establish an impressive collection of books whose catalog at some time was mislabeled by its previous owner Josef Auer. But there is still no excuse for the authors' misattribution of the library to Joseph Kyselak, who, according to his 1831 probate file, left behind "nothing, except a few clothes, which, following his request, were given to his brother". Goffriller and Klein not only were aware of Franz Kysselak's existence, they also quote from a handwritten biography of his cousin that Franz Kysselak gave to Constant von Wurzbach on the occasion of a personal visit to Kysselak's home at Stiftgasse 31/2/8. Wurzbach "left no stone unturned" in trying to find out more about Joseph Kyselak, whom in his lexicon he describes as "Sonderling" (odd customer). 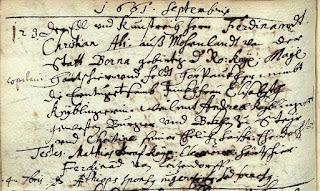 The authors should have realized that the handwriting in the library catalog is the same as the one in Franz Kysselak's notes. It occurred to neither of them to ask how a poor "Registraturs-Akzessist" could acquire a library of almost two-thousand books. 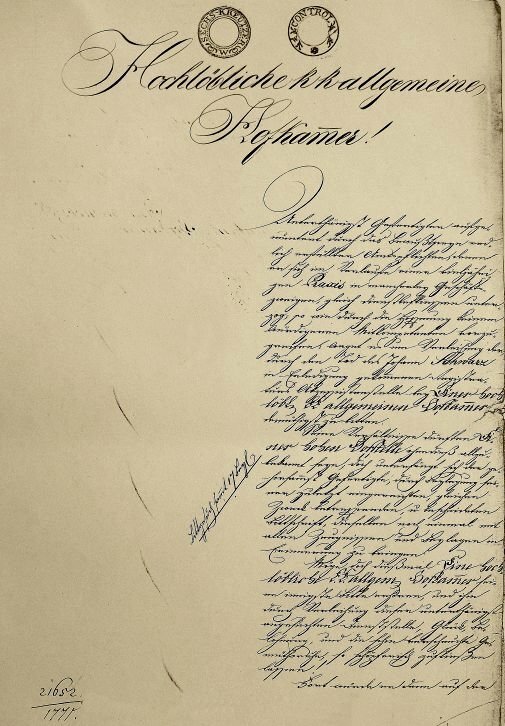 In June 1829 Joseph Kyselak sent his newly published two-volume travel book to Archduke Charles, together with a letter of dedication which today is held by the Austrian National Library (A-Wn, Autogr. 477/21-1 Han). It ends with an outburst of Kyselak's typical hyperbole (obviously referring to some financial support that he had received from the Archduke): "Millionen Gutthaben keimten aus Euerer Kaiserlichen Hoheit Segenshänden und wuchsen riesengroß auf der Freude athmenden Welt zu mächtigen Früchten des Glücks! Auch dem demüthighst Gefertigten wurde solch ein Gnadenpflänzchen zu Theil, und er gelobet, es bis zum Hinscheiden nur mit ewiger Liebe und Dankbarkeit für seinen höchsten Erzherzog und Gebiether zu pflegen." For fairly obvious reasons the authors did not publish the text of Kyselak's letter. All they present in their book is a photograph of Kyselak's signature. Not surprisingly, Goffriller and Klein were unable to locate any of the other Kyselak autographs held by Viennese archives. 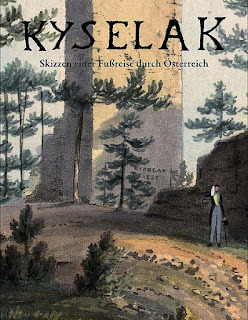 Since the largest part of Goffriller's and Klein's book consists of the republication of Kyselak's Skizzen einer Fußreise – which is available on Google Books anyway – the published result of the Kyselak Project seamlessly fits into a series of other dubious enterprises that were funded by the Kulturabteilung der Stadt Wien. Once the funding is granted and the money is released, this splendid institution apparently never vets or evaluates the actual outcome of a project. 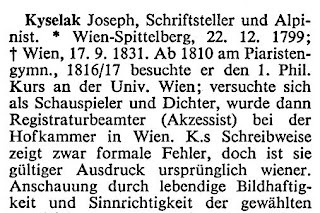 From this entry we learn that the maiden name of Kyselak's mother was Seiffert (her father had been Johann Seiffert, an innkeeper in Brno) and that Wilhelm's godfather was the "K.K. 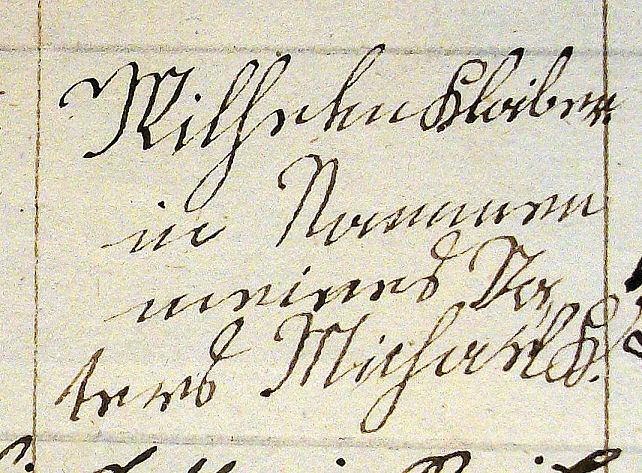 Familiengüter Oberbuchhalter" Joseph Michael Kloiber who was substituted by his nine-year-old son Wilhelm (signing as "Wilhelm Kloiber in Nammen meines Vaters Michael K."). Joseph Michael Kloiber (1762-1807) was a colleague of the child's father, a deputy bookkeeper at the K.K. Geheimes Kammer-Zahl-Amt, und Departement der K.K. Familie Herrschaften. Wilhelm Kyselak, with the help of his father, was able to secure a post as "Rentamts-Schreiber" (revenue office scribe) at the Imperial estate in Razkewe (today Ráckeve) in Hungary. After the death of his brother, Wilhelm on 4 January 1832 came to Vienna and after a three-week stay probably took his widowed mother with him to Hungary. Josepha Kyselak did not die in Vienna. 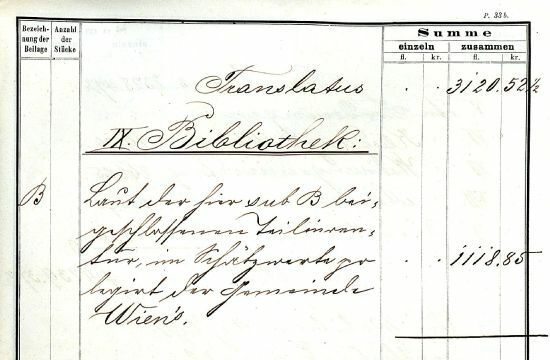 Distracted by the false lead in the ÖBL, a misinterpretation of the 1831 death register ("von hier geb." 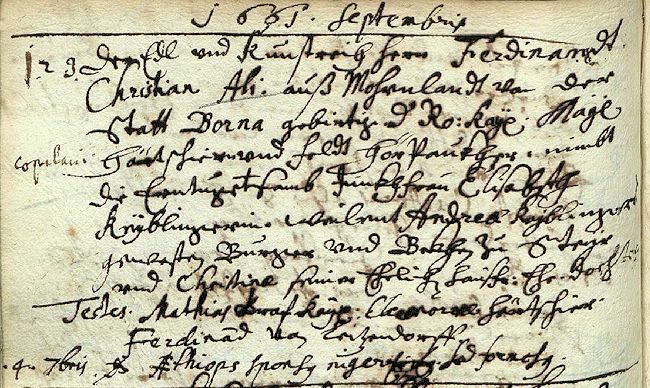 refers to Vienna, not to Spittelberg), and ignorant of the distribution of eighteenth-century Vienna parish districts, Goffriller looked for Joseph Kyselak's baptismal entry in the records of St. Ulrich's, because she assumed that Kyselak was born in Spittelberg ("Die Taufbücher der Pfarre St. Ulrich - wohin Kyselaks Familie ihrem Wohnsitz nach zuständig war - zeigen keinen Eintrag"). But even if the Kyselaks had lived in Spittelberg, that would not have meant that Joseph would have been baptized at St. Ulrich's. The situation is a little more complicated, since the districts of the suburbs were not congruent with those of the parishes. A part of Spittelberg belonged to the parish of Maria Treu and so did the part of St. Ulrich that was located north of the Rofranogasse (today's Lerchenfelder Straße). 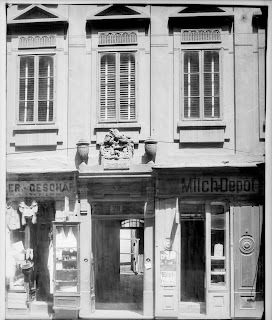 As of 1798 the Kyselak family lived at St. Ulrich 79 ("Zum [schönen/goldenen] Geiger", last No. 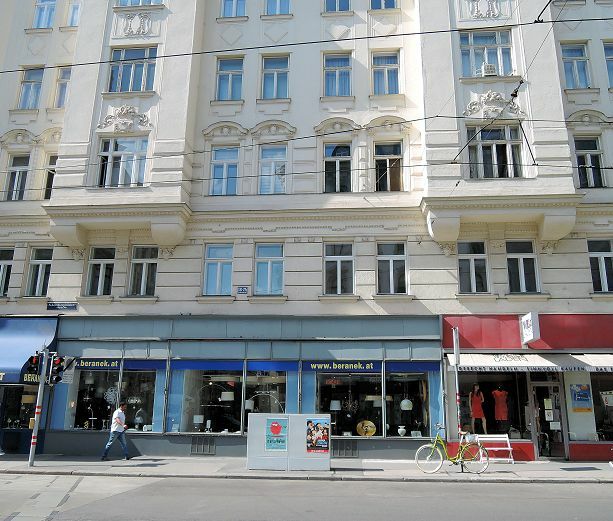 100, today Lerchenfelder Straße 20). In this house Joseph Michael Kyselak was born on 9 March 1798 and baptized at the Piarist Church of Maria Treu. He received his (previously unknown) second forename from his godfather Joseph Michael Kloiber who at the ceremony was substituted by Joseph Anton Fellner (1765-1826), another member of the staff of the K.K. Familien=Güter=Direktion (the Administration of the Estates of the I. & R. Family). 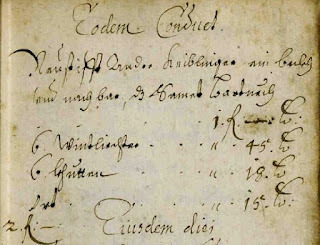 This baptismal entry contains one error: the house "Zum Geiger" was not located in the Josephstadt, but in St. Ulrich. Josephstadt 79 was the house "Zur Weißen Rose". In the records the priests varied the description of the "Geiger" house. They give it as "Schottengasse 79 gold. Geiger" (fol. 163), "Neud. gold. 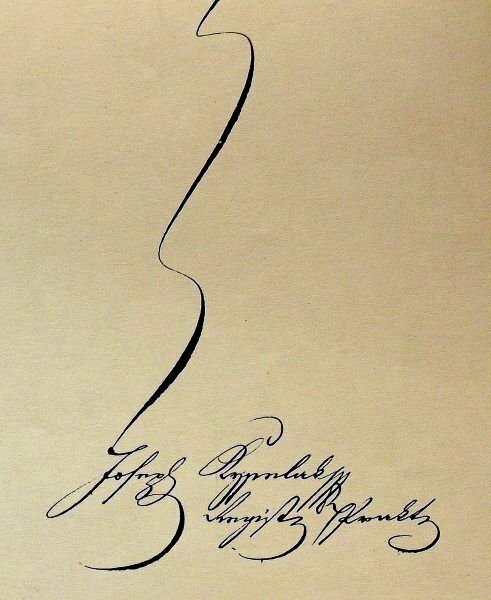 Geiger 79" (fol. 180) and "N.[eudegger] G.[rund] beim Geiger 79" (fol. 249). In some of the death records the house also appears under its correct address "St. Ulrich 79" (Tom. 8, fol. 63). The house was named after its first owner, the gilder Andreas Geiger, who died there on 23 July 1801 at the age of 62. 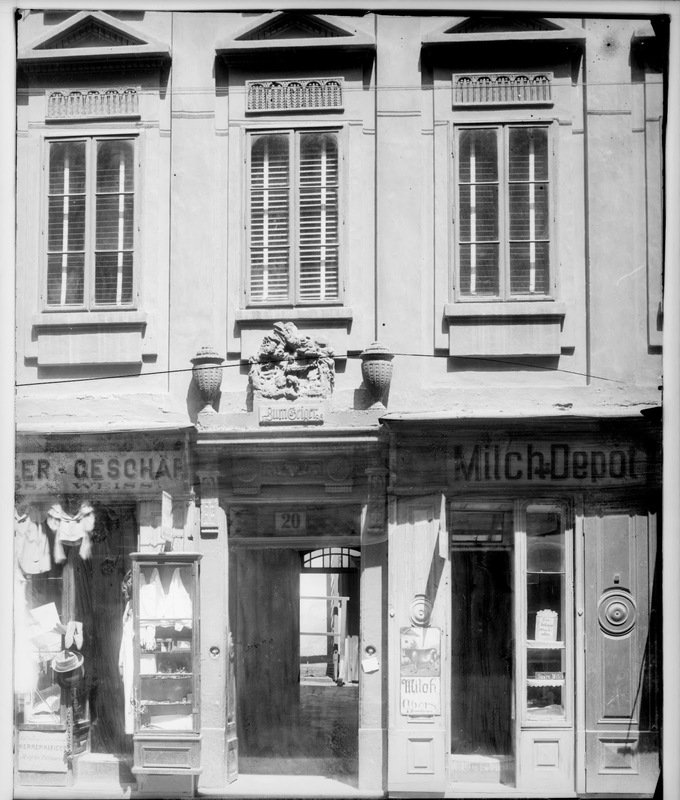 Joseph Michael Kyselak's place of birth: the house St. Ulrich 100 ("Zum Geiger", Lerchenfelderstraße 20) on a photograph by August Stauda from 1899 (A-Wn, ST 298F). This house was built in 1776 and covered an area of 259 m2. It was torn down in 1900. Joseph Kyselak's godfather Joseph Michael Kloiber was born in 1762, son of Johann Georg Kloiber (1738-1801) and his wife Maria, née Strohmayer. 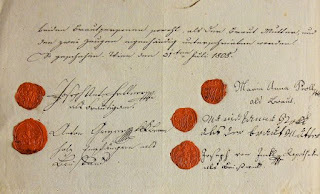 At the time he applied to the Lower Austrian Government for a marriage permit in April 1789, he was working as an accountant for Christoph Baron Stiebar auf Buttenheim. On 4 May 1789, in the church of Jedlersdorf, Kloiber married Magdalena Fridlberg (b. 12 September 1770 in Tulln), daughter of the judge Anton Fridlberg (1731-1784) and his wife Maria Anna, née Weltischhofer. Kloiber and his wife had four children: 1) Wilhelm Joseph (who in 1799 was to stand proxy for his father at Wilhelm Kyselak's baptism), born on 22 October 1790 (A-Wstm, Tom. 18, fol. 82), 2) Karl, born in 1792, 3) Wilhelmine, born on 18 August 1794 (A-Wstm, Tom. 18, fol. 121), and 4) Karoline Wilhelmine, born on 2 May 1797 (Altsimmering, Tom. 5, fol. 100). Before Kloiber became an accountant with the K.K. Familien=Güter=Oberdirektion, he had already bought a house in the village of Simmering, south of Vienna. 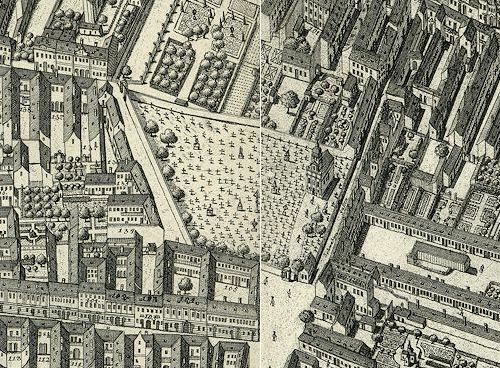 In April 1800, for 10,000 gulden, he purchased the so-called Rosenhof in Simmering, together with more than 30 acres of land, from Eleonore von Pelser, née von Fürnberg (a granddaughter of Haydn's early employer Karl Joseph von Fürnberg). Kloiber was able to enjoy his state as landowner for only seven years: on 28 August 1807 he died in Simmering of "Nervenfieber" at the age of 45. Kloiber's wife Magdalena only survived her husband by three months. At the surprisingly young age of 37 she died of a stroke on 14 November 1807 at Stadt 82 where she had been staying with her sister Franziska Zehe. Of four children only Wilhelm and Karl Kloiber survived their parents. The "Ingrossist" Joseph Anton Fellner, who stood proxy for his colleague Kloiber at Joseph Kyselak's baptism, was born around 1765 in the Bohemian village of Pašinka. In 1797, in Vienna, he fathered a daughter with a certain Juliana Pascher and on the occasion of the christening of this child, pretended to the Piarist priest Rupert Enk that he was already married to the child's mother (Maria Treu 7, fol. 123). Fellner married Pascher but on 7 January 1798 (Maria Treu 4, fol. 232). By the time his first wife died on 26 March 1808 (St. Ulrich 27, fol. 95), Fellner had already been promoted to the rank of "Rechnungsofficial" (accounting official) at the K.K. Familien=Fonds=Buchhalterey. One of his immediate colleagues at this office was the composer Vinzenz Hauschka. Joseph Fellner married again on 31 July 1808 (Landstraße 3, fol. 136). His second wife was Maria Anna Proll, the daughter of a mailman from Landstraße. 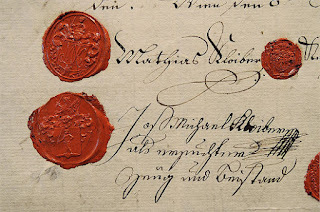 The seals and signatures on Joseph Anton Fellner's 1808 marriage contract. Fellner's best man was the "K.K. Holz Empfänger" (I. & R. wood purchaser) Anton Geyer, a colleague at the Familien=Güter=Oberdirection, the bride's witness was Joseph Jeckl (1766-1824), amateur composer and owner of the pharmacy "Zum goldenen Reichsapfel" (A-Wsa, Patrimonialherrschaften, Schotten 31037). With his second wife Fellner had two children: Antonia, born 1 August 1810 (Maria Treu 9, fol. 62) and Carolina, born 2 May 1812 (Maria Treu 9, fol. 165). Joseph Anton Fellner, who secured a small bit of posthumous prominence by officiating as proxy godfather at Joseph Kyselaks baptism, died on 20 January 1826 of a stroke. He was survived by his wife and his three daughters whose uncle Johann Fellner (also an accountant with the K.K. Familien=Fonde and a friend of Vinzenz Hauschka) was appointed their guardian. In 2011 I spent several weeks doing research on Kyselak and copying all Kyselak documents held by Viennese archives. I consider my collection of primary sources complete and the preceding notes cover only a very small part of my research. The collected Kyselak documents will at some time be published in an article that avoids the usual journalistic triviality and deals with this interesting personality on a scholarly level. There was much more to this man than just the notorious "tagging mania". Kyselak was a highly talented individual whom his superiors described as "geprüfter, rechtschaffener, fleissiger und fähiger Jüngling" (a qualified, righteous, diligent and competent young man). Any serious study of Kyselak's biography must also deal with his musical activities and his friendship with interesting people such as the painter Johann Carl Smirsch and the actor Karl Rereni. However, a paid(!) scholarly publication of all Kyselak documents seems currently almost impossible in Kyselak's hometown. There is no serious medium that would be willing to support this kind of work, while the sparsely running wells of public funding are continuously sucked dry by pompous but shallow projects that their incompetent promotors mistakenly consider "state of the art". The Baden diplomat Franz Xaver von Andlaw-Birseck, who in his 1857 memoirs quotes several passages from Kyselak's Skizzen einer Fußreise, called the hyperbole of Kyselak's writing style "rührender, gemüthlicher Galimathias" (touching and cozy nonsense). The fact that Kyselak today is an exhibit in Vienna's Literature Museum, is embarrassing proof that in Austria, writing your name on walls, will make you being taken for a poet. 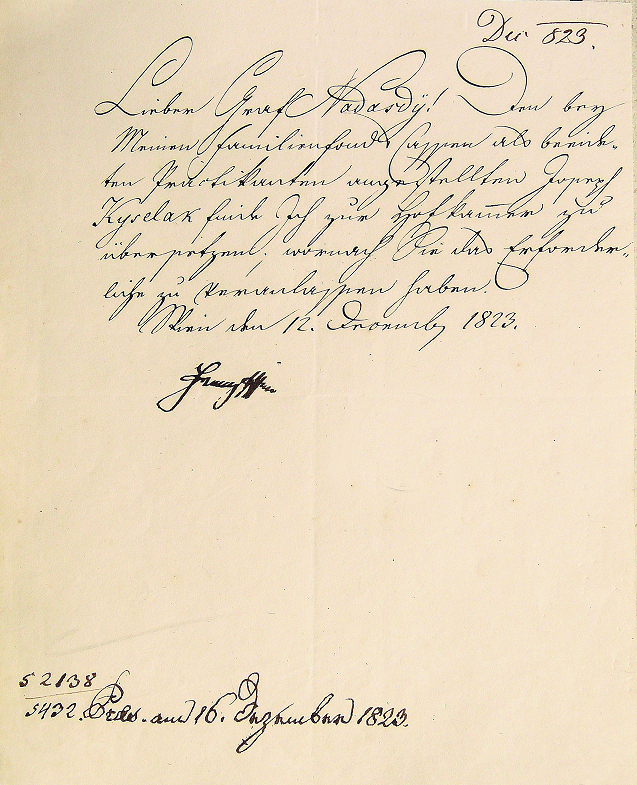 In 1825 the "Registraturs-Praktikant" Joseph Kyselak applied to the I. & R. Court Chamber to be awarded a post as "Registraturs-Accessist". 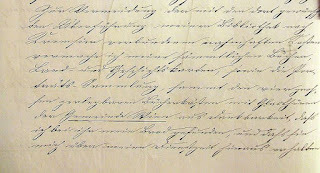 Together with his application he submitted seventeen documents concerning his education and ended his autograph letter with a begging statement in the typically florid (basically untranslatable) Kyselak prose that is so characteristic for his travel book. Möge doch dießmal Eine Hochlöbliche K:K: Hofkammer seine innigste Bitte erhören, und ihm durch Verleihung dieser unterthänigst angesuchten Dienststelle, Glück, Belohnung, und die schon verscheuchte Gemüthsruhe, so schöpferisch zufließen lassen. Fort würde er dann auf der kaum betrettenen Seegensbahn eilen und mit Fleiß, Genauigkeit und rastloser Erfüllung der strengsten Pflicht, jeden seiner Schritte adeln, um dereinst auf den Stuffen der Zufriedenheit aller seiner hohen Vorgesetzten beruhiget zu ersterben! May but on this occasion a most honorable I. & R. Court Chamber grant his most heartfelt request, and by awarding him this most humbly requested office, creatively accrue to him happiness, gratification, and the peace of mind that had already been scared away. Henceforth he would run the newly entered course of blessings, and honor his every move with diligence, accuracy and the restless performance of the most stringent duties, to calmly die one day on the steps of the satisfaction of all his high superiors! It became clear only recently that Kyselak was Viennese! 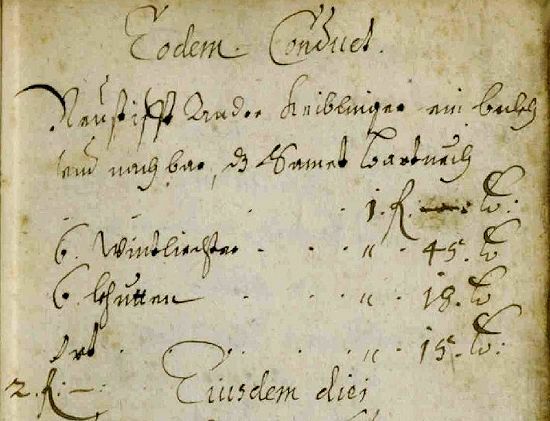 Five years after we had visited the archives of Vienna's Piarist school and the parish, and had published Kyselak's school certificates, a colleague[sic] deciphered the entry in the baptismal register*. 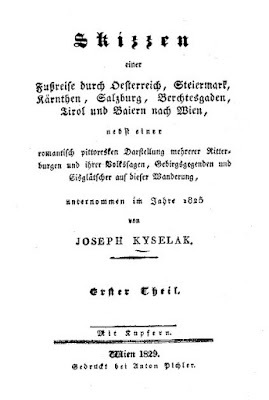 Joseph Michael Kyselak was baptized in the Piarist Church on 9 March 1798. He didn't use his second first name - perhaps he didn't like it. (*... and published it on his own four years later. The article is certainly a contribution to the discussion about Kyselak's – still unknown[sic] – date of birth and further details, but it is fraught with uncollegial insinuations and untenable accusations against the culture department of the City of Vienna and against the project team. Furthermore it is written with a vicious intensity from which a personal drama can be inferred – which is why the name of the colleague is not mentioned here). This absolutely priceless jumble of excuses is the typical reaction of an author who thinks that nobody is allowed to criticise her work, because she considers it a kind of "private issue". This point of view would be acceptable, except for the simple fact that, as soon as this work is being subsidized with public financial means, every citizen has the right to express his discontent. Goffriller manages to pack several lies into the above paragraph: she knows of course that the date of Kyselak's birth, which I published in 2015, is now an irrefutably documented fact. Her truly astonishing denial of this reality only serves the purpose of fooling her unsuspecting friends. That the project team "had visited the Piarist parish archive" is obviously not true. Had Goffriller & Klein actually consulted the holdings of this archive, they would have found Kyselak's baptismal entry. That my criticism consisted of "untenable accusations" is yet another lie and so is the nonsensical claim concerning a possible "personal drama". The only personal drama that can be diagnosed in this case is Goffriller's, who in 2015 had to realize that the research she had been unable to do, had been conducted by somebody else, which, all of a sudden, predestined her splendid book for history's recycling bin. I have seen many excuses for committing plagiarism, but Goffriller's way of exculpating her shameless theft of intellectual property with "hurt feelings", is a truly inventive and entirely new approach. Goffriller falls victim to a number of basic misunderstandings: she refers to me as a "colleague", and, based on this misconception, she presumes the right to be treated "collegially". She also seems to think that Kyselak is a main concern of my scholarly activity. This perspective is fundamentally wrong. Since my work is primarily musicological, Kyselak to me was just a marginal side issue which had to be dealt with, because too many archival discoveries had kept piling up. My model for expressing merciless criticism in the face of sloppy and dishonest research is the renowned chess historian Edward Winter. I consider it a personal obligation to call out dishonest publications and the squandering of taxpayers' money. I think that I have all the more right to criticise phoney research, as long as I contribute substantively to the knowledge of a subject. I have delved deeply into Kyselak's life and have spent many weeks of research in several Viennese archives. This serious hard work can yield no other result than to point out all the nonsense that my predecessors put on paper while they were getting paid with my taxes.